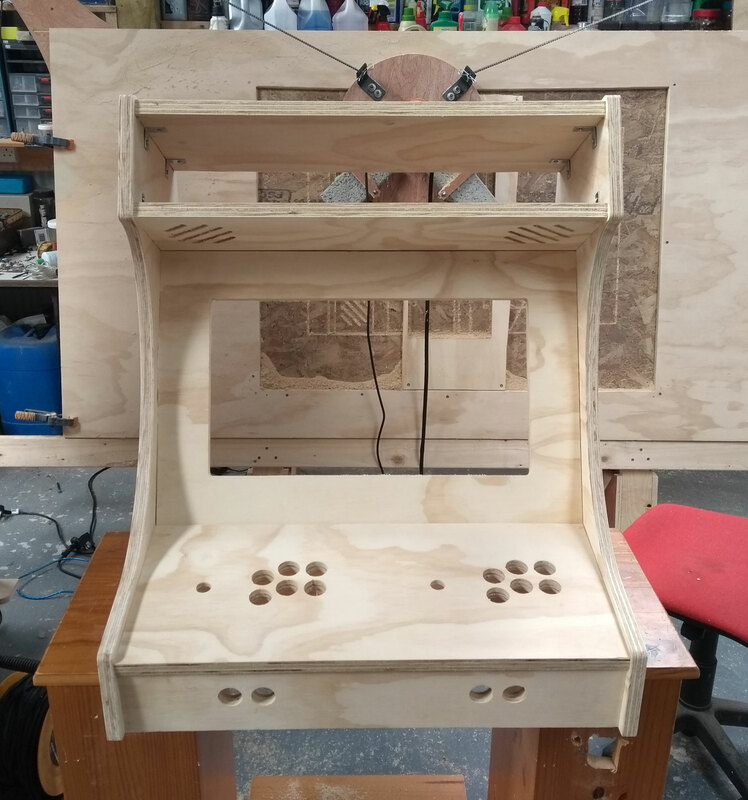 2 player Raspberry Pi arcade cabinet. The svg files included cover most of the panels except for the two on the back, these panels were cut away from the Maslow. I used lots(>50) of little L brackets to fix the panels together. The holes for buttons are ALL the same size. Only cut pockets for the joystick mounts. Depth depends on thickness of material and length of fixings. Most of the dimensions will probably be different for the hardware you are installing. Monitor, speakers, buttons.